There is perhaps nothing better than the sight of a sunset that paints the horizon in countless shades of red, orange, and yellow. 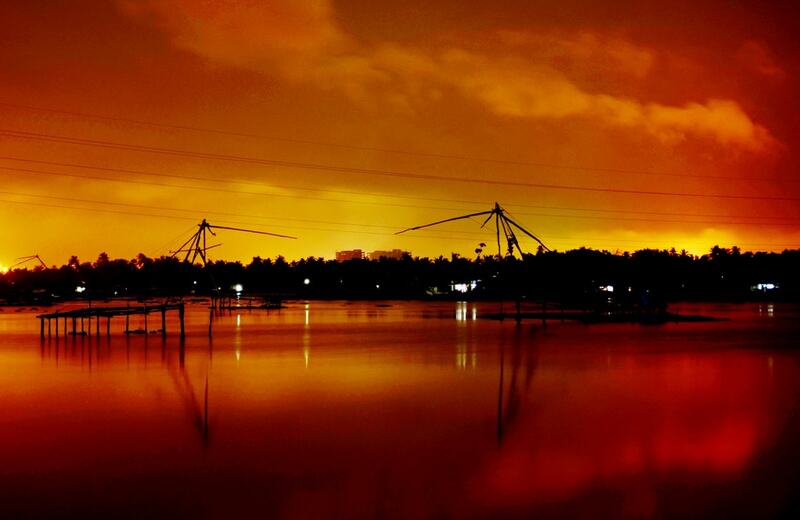 So how about catching such a divine view in the heart of God’s Own Country – Kochi? Here are seven different places across the city from where you can watch the fascinating sight of the sun dipping behind the earth. Located in the heart of Kochi, Marine Drive is the best location of the lot to catch the orange and red rays of the setting sun. The picturesque promenade is built facing the backwaters and its popular hangout with well maintained seating arrangements and sunsent view-point, to enjoy a lazy evening. Sunset with the Chinese fishing nets in the frame is a pleasure to watch. Mahatma Gandhi promenade, flanked by small trolley shops and fish stalls selling fresh catch right from the sea in Fort Kochi Beach, is the place to go for such a sight. 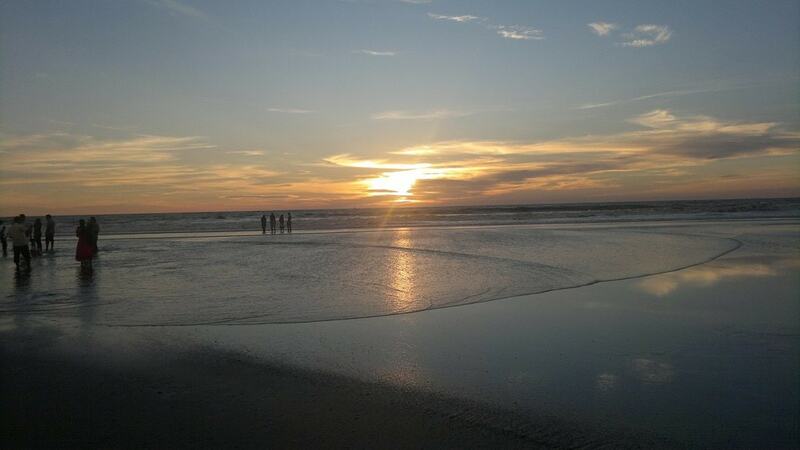 Locals and tourist throng to this coast to enjoy the sunset. A relatively isolated shore, Vypin Beach lies 26km (16 mi.) from Kochi. 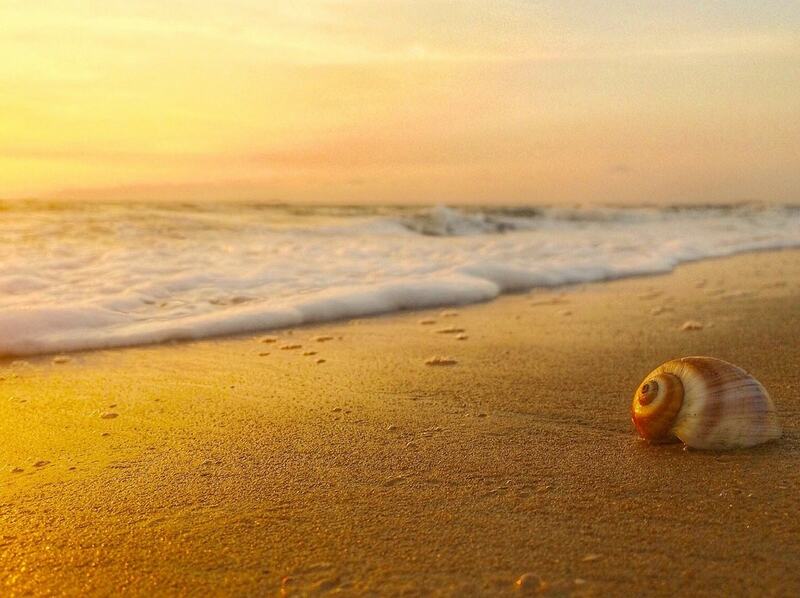 This is the perfect place to watch the sunset all by yourself. 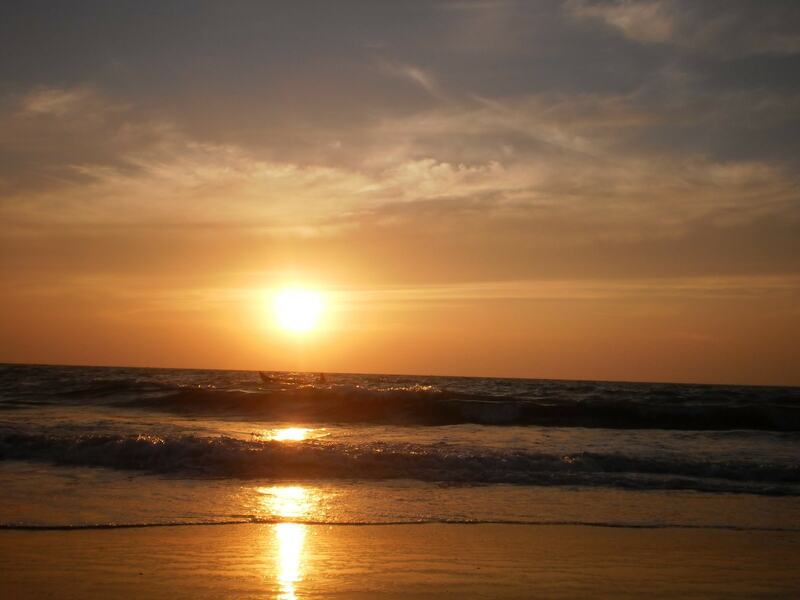 Puthuvype Beach is one of the lesser known points to watch the sunset in Kochi. Lying just 17km (21 mi.) from Kochi, it should definitely be on your list if you are a sunset enthusiast. 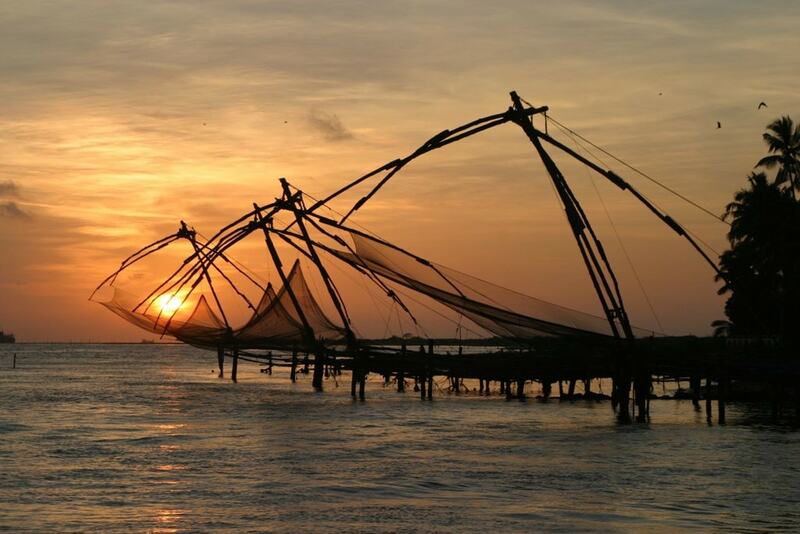 Chellanam fishing harbour located 19km (12 mi.) 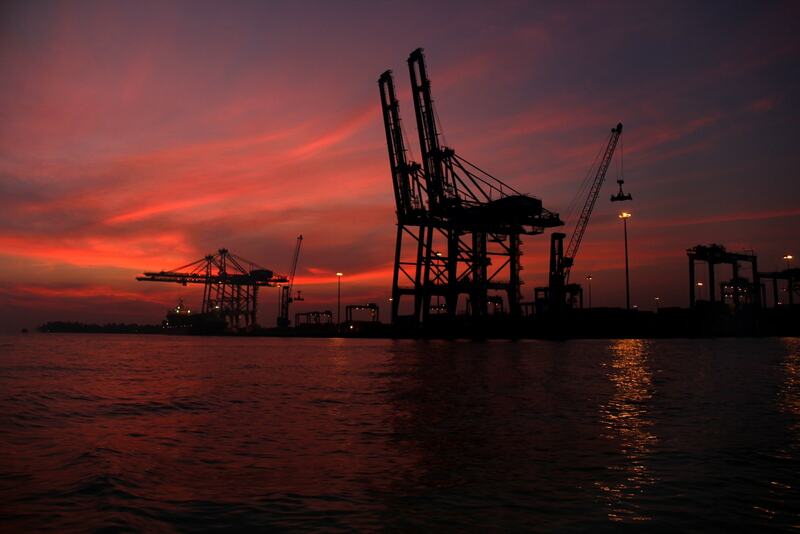 to the south of Kochi offers some wonderful sunset views. 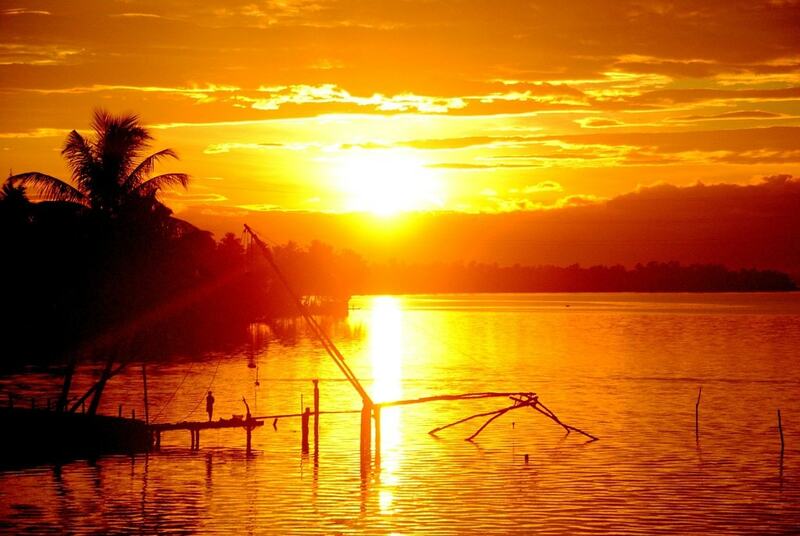 Being far from Kochi it is also another lesser visited places for sunset watching. Sunset, sea, and fishing boats in the same frame is a delicious treat for any photographer. If you’re looking for a less crowded place to catch the sunset with the fingerprints of civilisation silhouetted in the view, then Vallarpadam is the place to go to. Bridges are often perfect vantage points to catch some great sunsets and Aroor-Kumbalam Bridge is one of the best such spots in Kochi.